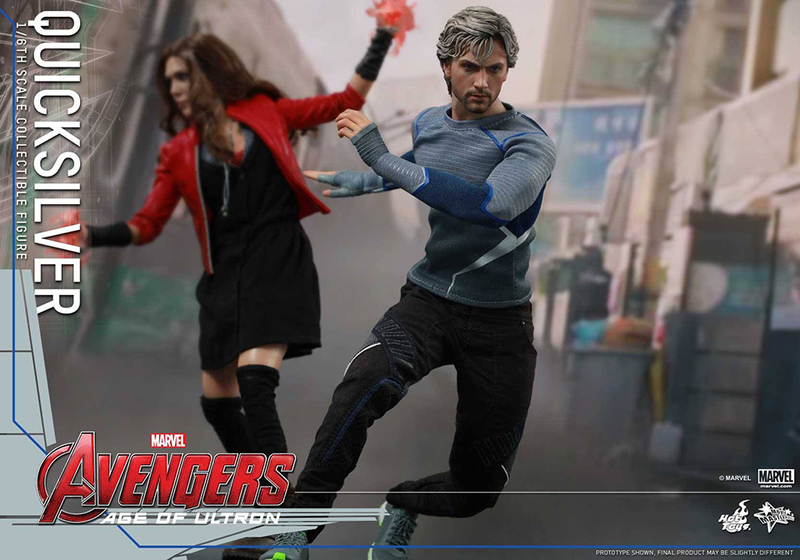 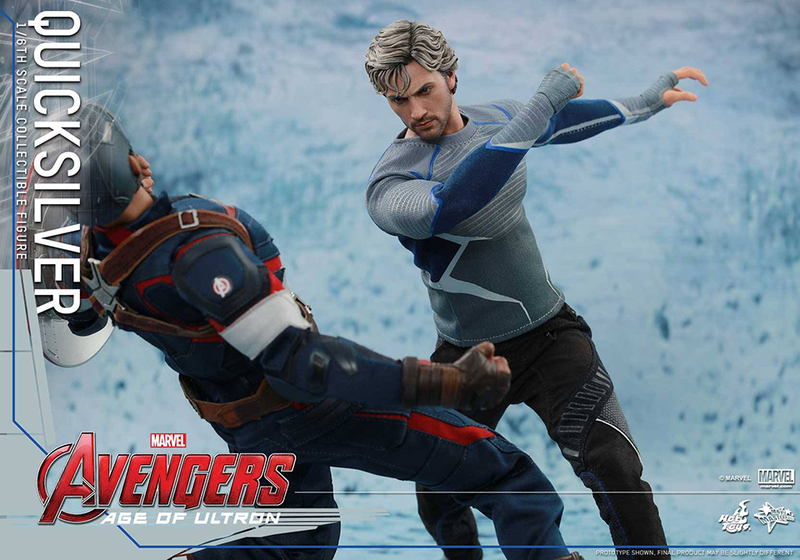 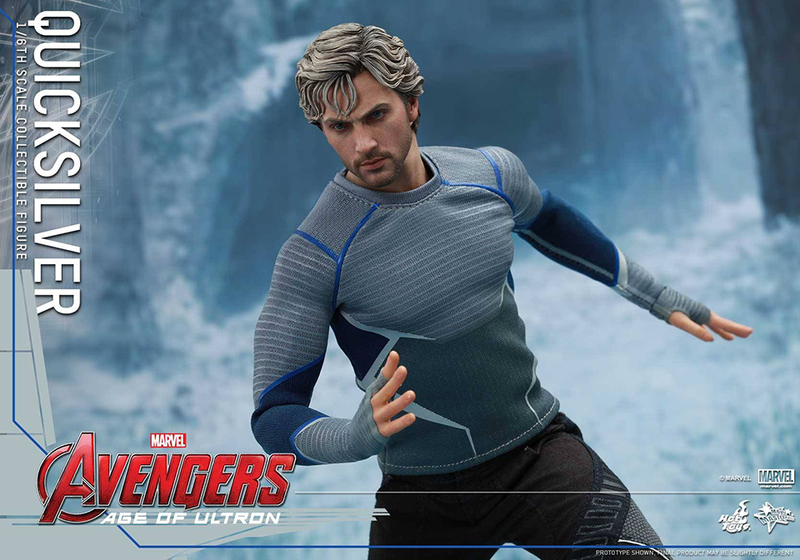 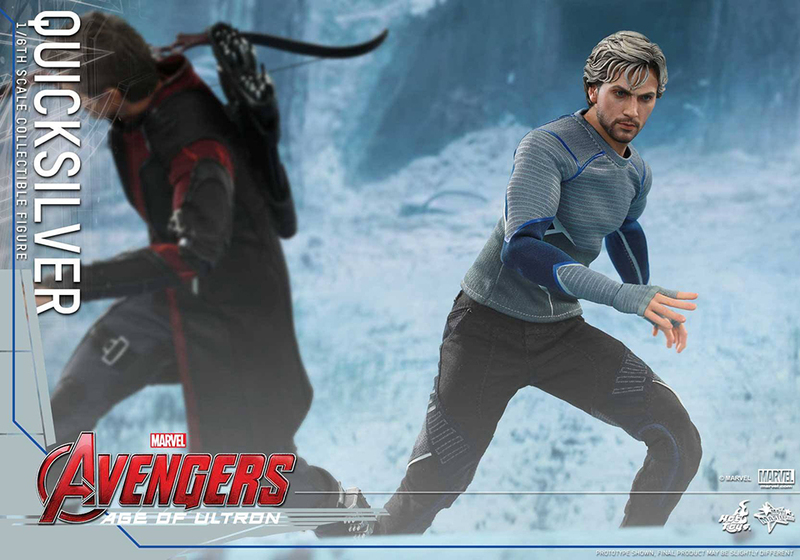 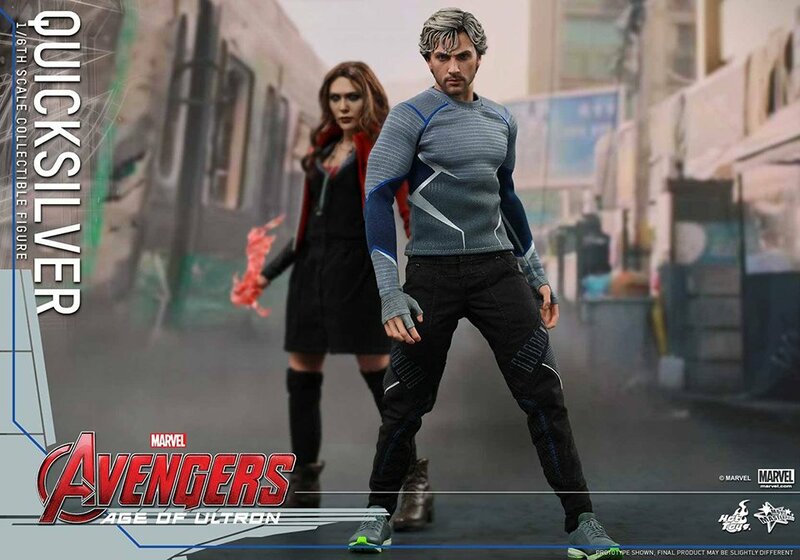 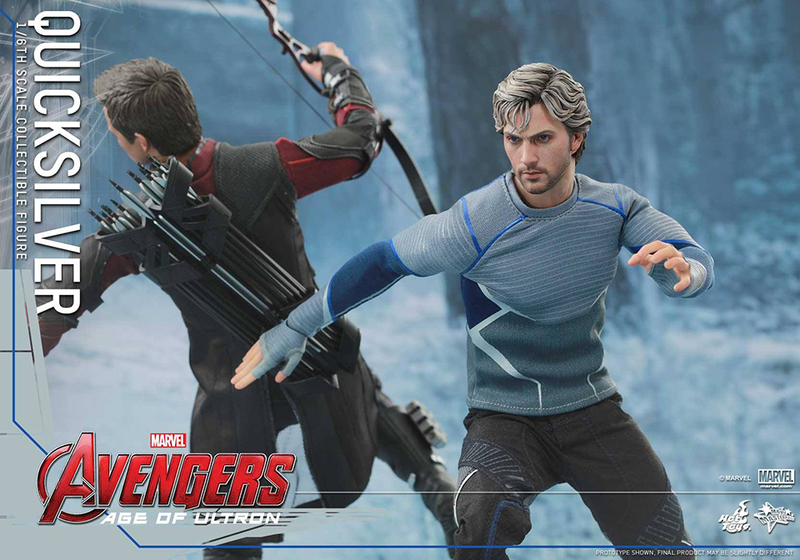 Hot Toys completes its Avengers: Age of Ultron sixth scale lineup with Quicksilver. I think he’s one of the blandest major characters in the MCU (not that the X-Men DoFP version is much better) but that’s not Hot Toys’ fault. The toymaker did justice to what it had to work with, and I think this action figure has one of the most accurate head sculpts I’ve ever seen. 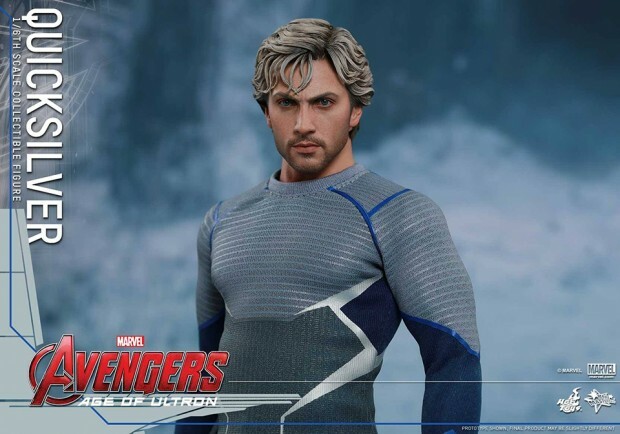 The details and proportions of Aaron-Taylor Johnson’s head are spot on. 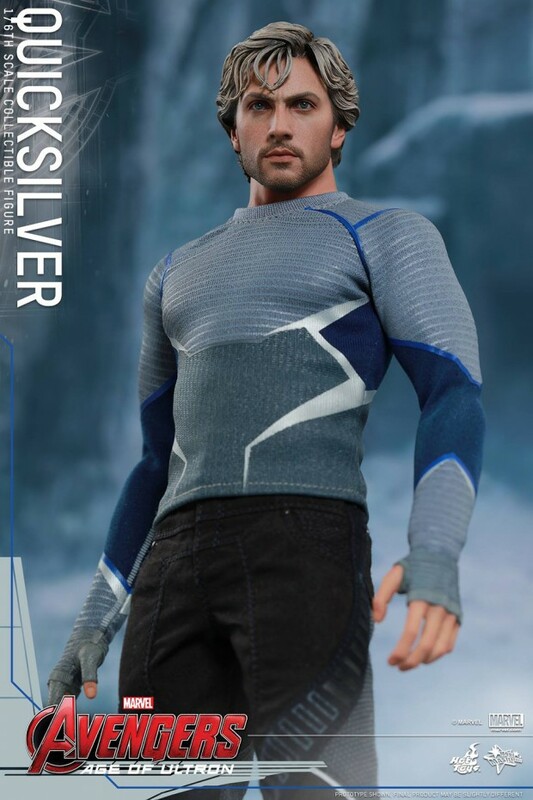 The only thing I don’t like about this figure – or at least the prototype shown in these shots – is that the stitches on his collar and hem break the illusion of scale. 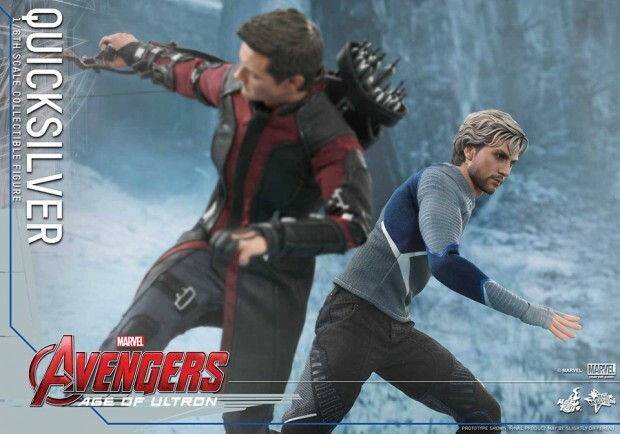 I think Hot Toys should make those smaller or hide them. 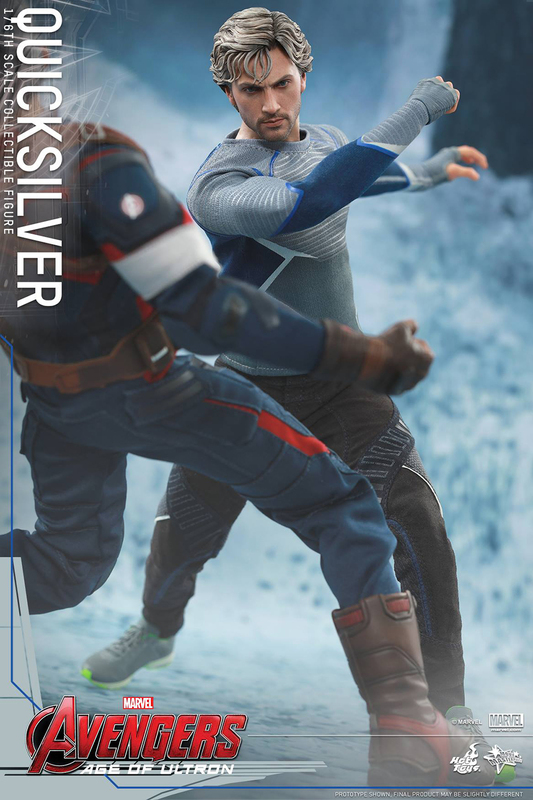 Otherwise this is a great scale model. It comes with four interchangeable pairs of hands and the customary stand. 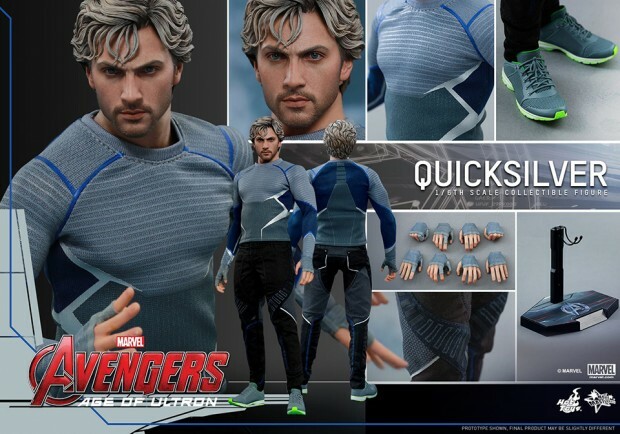 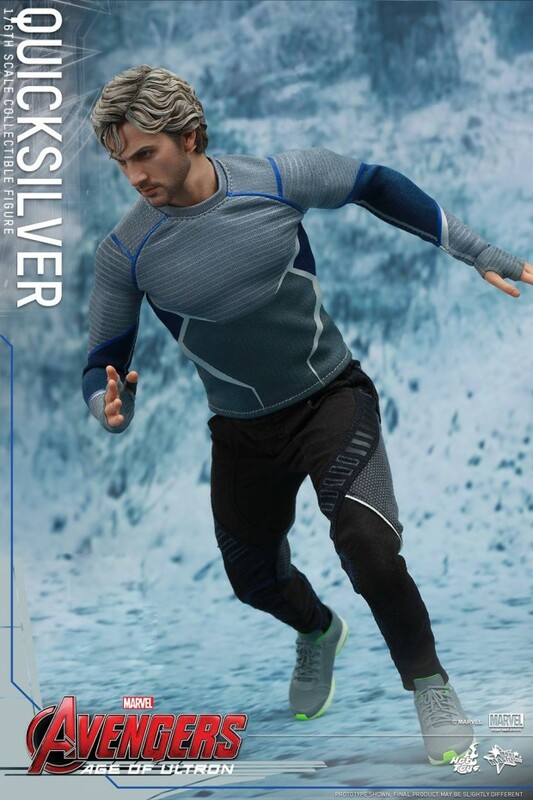 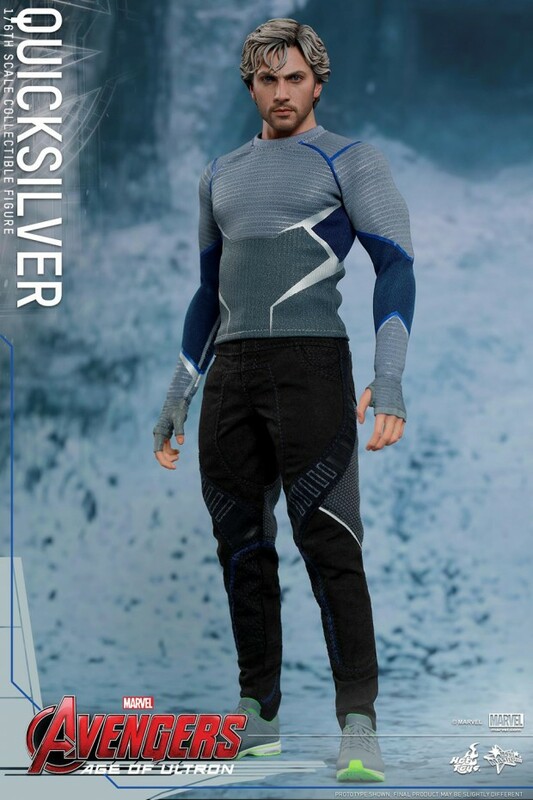 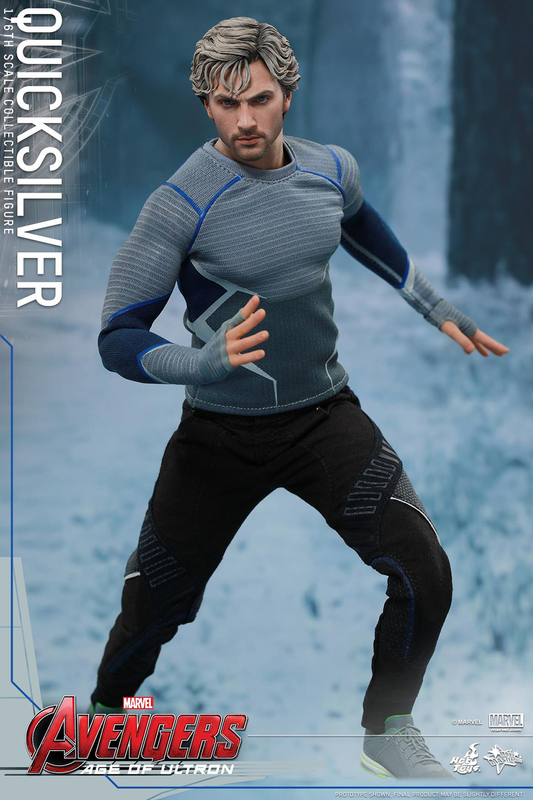 The action figure isn’t up for pre-order as of this writing, but if you’ve been eyeing Quicksilver’s shoes know that you can grab a pair right now. 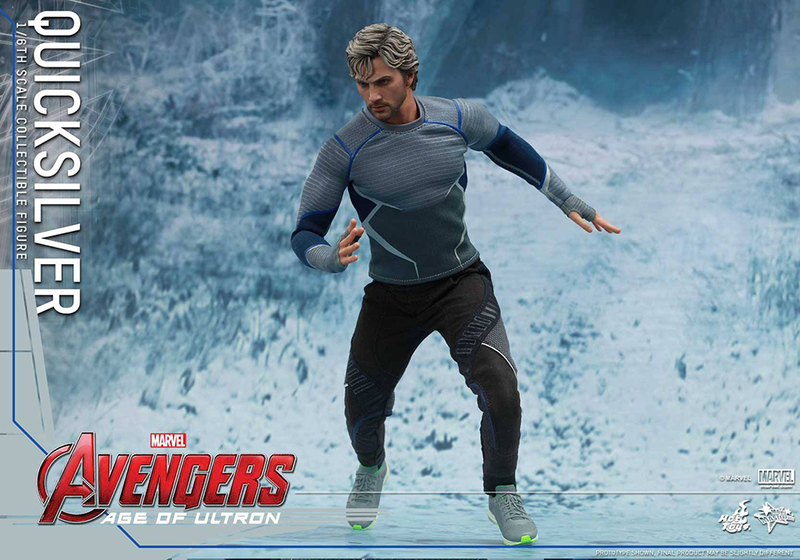 Don’t ask me why someone who zips about at up to 3,800mph wears normal human shoes.